If you’ve neglected your bathroom for months and now it’s real mess in it, don’t hurry to purchase expensive commercial cleaners to remove all dirt and grime. I know that it’s tedious to clean the bathroom, but doing it with harsh chemicals won’t make the task easier. Better use white vinegar to clean and deodorize your bathroom. 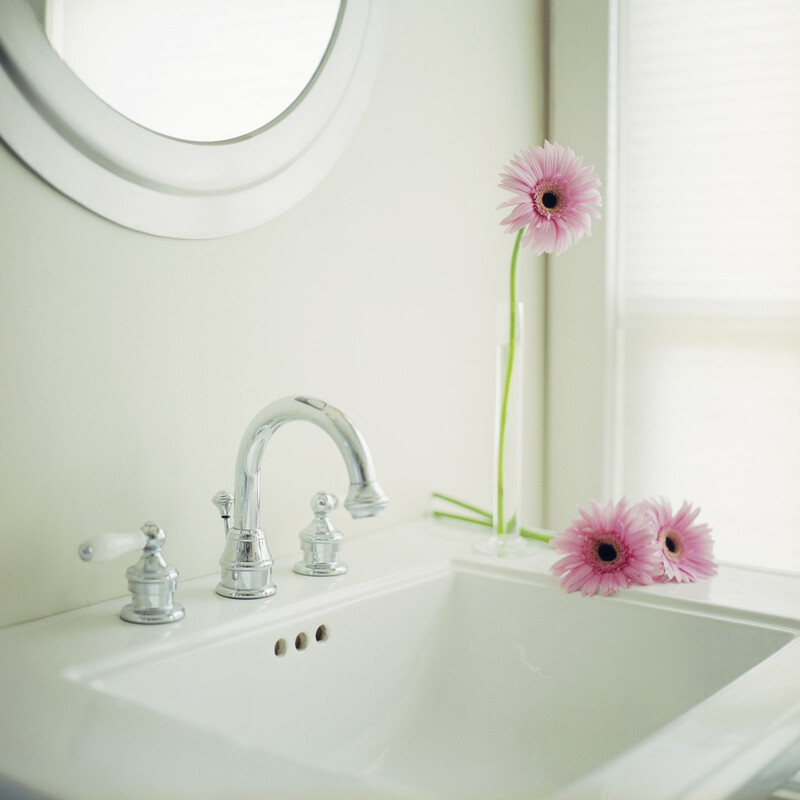 White vinegar can tackle hard water and mineral deposits, soap scum and mildew. Soap scum is one of the worst nightmare of each housewife as it makes the bathroom look dirty. Vinegar can help you deal with the awful stains. All you need to do to clean the glass doors and walls is to spray white vinegar on and allow it to dry. Then spray again and wipe thoroughly. For deep cleaning a rug that is a home to mildew, make a 50/50 cleaning solution of vinegar and water. Pour the mixture on the rug to kill the stubborn mildew. Let the rug dry. Let’s clean the sink. You can deal with the hard water and mineral deposit quite easily, just cover the stains with paper towels soaked in vinegar and let it sit for about 1 hour. Then use a damp sponge to wipe the dirt. Cleaning a toilet bowl is one of the most disgusting chores, but you can’t postpone cleaning it for years. So pour 2 cups of vinegar into the toilet and allow to sit for about 30 minutes. Then sprinkle some baking soda on the brush for the toilet bowl and scrub any remaining stains. Flush and it’s done. For deep cleaning the floor in your bathroom, you can again use vinegar. For cleaning ceramic tile mix 1 cup vinegar with 1 gallon of warm water and mop well. If the floor in your bathroom is linoleum or vinyl, scrub it with a cleaning solution of 1 cup vinegar and a galleon of warm water. Vinegar is a wonderful natural cleaner that can help you restore the shine of your bathroom, so try it.